Have you ever tried real stevia extract? 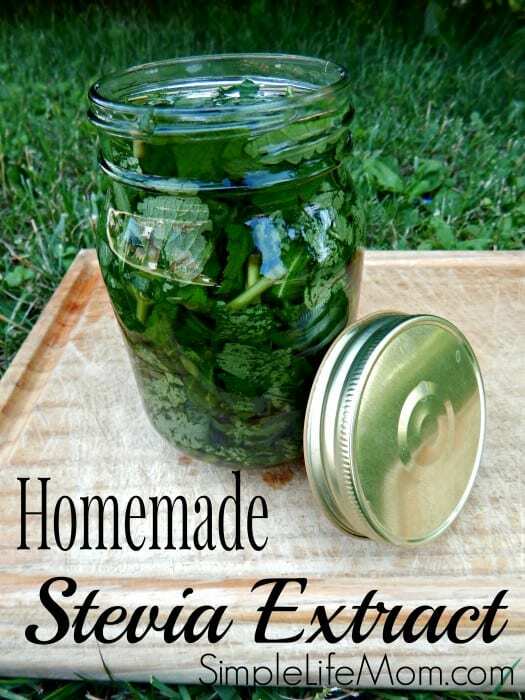 Homemade Stevia extract is actually quite easy to make if you have the ingredients. Now, the reason I ask if you’ve tasted it before is because stevia really does have a very unique after taste. Most people do not know that, because all they have tasted is the highly processed and barely natural stevia that is called “All Natural” Stevia powder. You can read more about this in my article, “Real Stevia is Not White”. I think stevia is a great sweetener, and I use it in my tea. The wonderful thing about stevia is that it does not raise your blood sugar levels or effect your body like other sugars do. It does not cause the internal inflammation of cane sugar that is so dangerous. So, if you like a little sweetener, this is a fabulous all natural option. I grow my own. You can definitely find the leaf online at various locations, but to get a starter plant is really ideal. They are super easy to grow and are cold hardy to a degree. I keep mine in a pot and put it into the garage during the winter. Cutting the plant down during the summer actually encourages a much stronger plant. You can see below my recently cut plant. Using a vodka from a country that does not use GMO corn will insure that you have a non-GMO extract without having to buy organic vodka. Gather your leaves. If you do not have fresh, you can use dried (just not powder because it will make it very difficult to sift out later). Chop them coarsely. 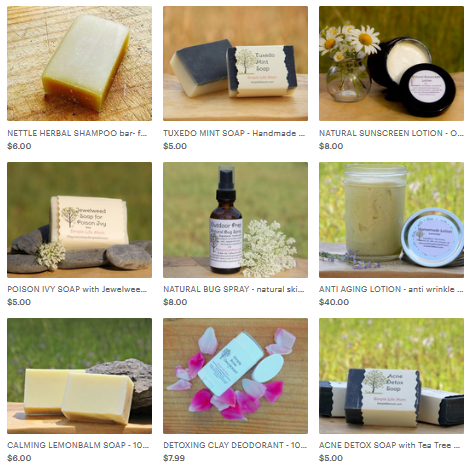 You can even rub them together in your hands to bruise them and release more of the oil. Place the leaves in a jar. Use enough to fill the jar, but you don’t have to pack it in too tightly. Pour vodka into the jar to the top. Close tightly, shake, and allow to sit for 36-48 hours. No More!! Any more will make your extract bitter. After the 36 hour period, pour though a sieve into a sauce pan and simmer over low heat for 20 minutes. Do not boil , because it will become bitter! This will burn off most of the alcohol, but leave enough so that it will keep in a sealed jar for a long time. It also sweetens the extract even more. Place in a sealed jar and enjoy. Place the leaves in a jar. Use enough to fill the jar, but you don't have to pack it in too tightly. After the 36 hour period, pour though a sieve into a sauce pan and simmer over low heat for 20 minutes. Do not boil! This will burn off most of the alcohol, but leave enough so that it will keep in a sealed jar for a long time. It also sweetens the extract even more. Place a few drops into your tea or other drink. I just use 3-4, but experiment to see how much you prefer. I also may have a few more bottle of this extract that I made in my shop. You can try it out before you make your own. You mention getting vodka from a non-GMO Country. Can you list those? I’m not certain, but I know that Monsanto has infiltrated many European and Asian Countries. Some are now banning GMO, but how do you KNOW that the corn isn’t GMO? A few years ago I know there were at least 26 countries that banned GMOs. Austria, Bulgaria, France, Germany, Greece, Ireland, regions of Finland among them. 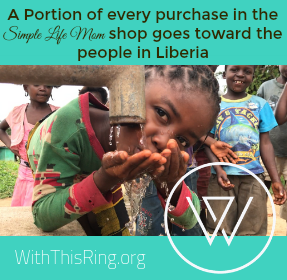 I would find out which countries you can easily purchase from, then look them up. That would be the easiest way to make sure, because you are right; things have been changing a lot over the past few years. What brand vodka do you use to make this??? I’ve used Prairie Organic Vodka. It’s worked wonderfully. You can also use the cheapest vodka in the store and it will still come out great. It’s all to your preference. Do you store this is the fridge? How long does it keep for? thanks for the great info! You do not have to store it in the fridge, because you do not cook off all of the alcohol. If you wish to heat it longer to do so, then keep it refrigerated. I seal mine in jars while it is still hot so that it keeps indefinitely. 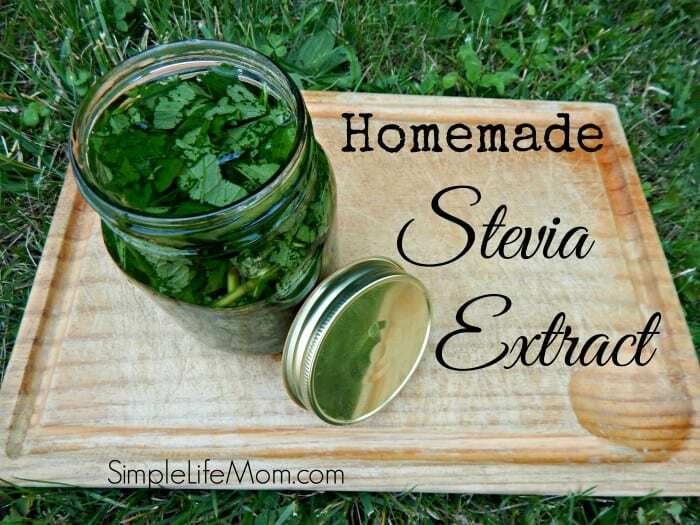 A great recipe for homemade Stevia. Thank you so much for sharing with Full Plate Thursday and have a great day! It is easy 🙂 Glad I could give you some ideas. So happy to find this recipe. 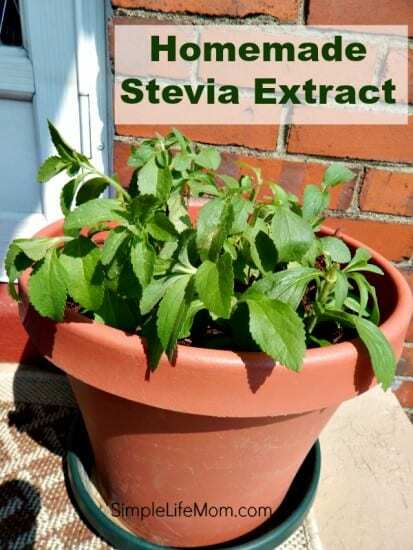 I just started growing stevia and was looking around for how to use it as sweetener. Great! Let me know if you have any questions and I’ll do my best to help. This is awesome! I’m totally doing this next spring with my plant! can you give any information on how intense this concentration is compared to sugar? Teaspoon sugar equal to what amout of the extract? And is it stable for baking? It depends on how much moisture you cook off when heating it, how fresh your leaves are, what time of season, etc. All of these things will effect how potent the stevia extract ends up being. I would say mine ends up being 4 drops/teaspoon of sugar. It can be used in baking. 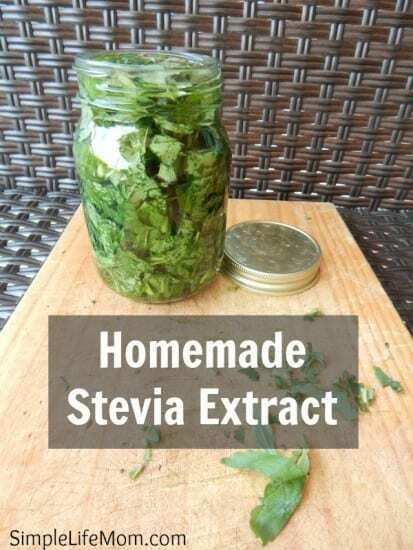 If you’ve baked with powdered stevia before and liked it, then you can definitely use your own stevia extract in that same recipe.